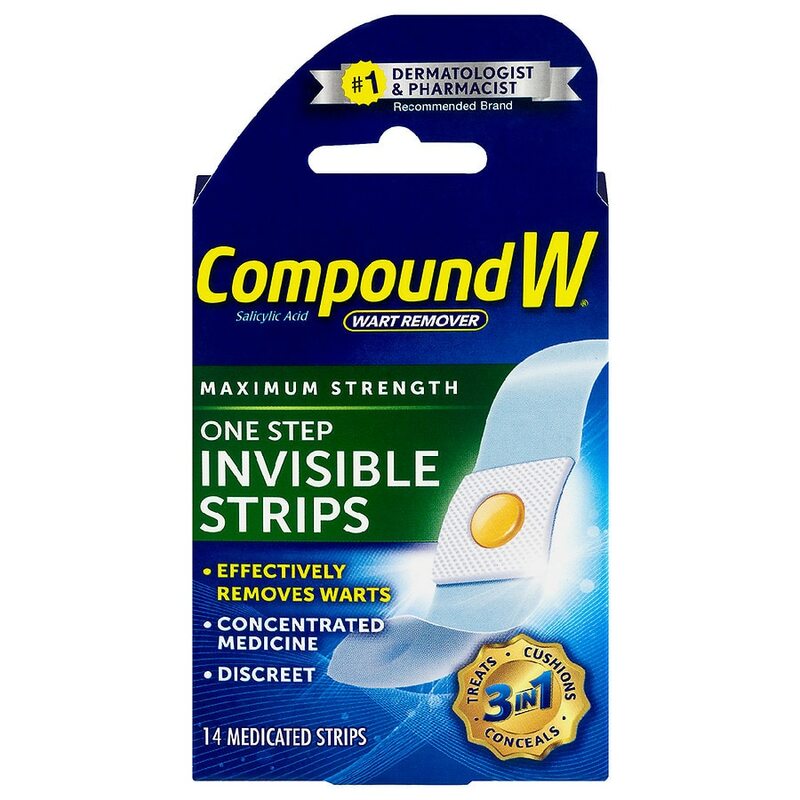 Conceals and provides you with discrete protection, all while also delivering the maximum strength of medication to common warts. Store at room temperature. Avoid excessive heat 37 degrees C (99 degrees F). © Prestige Brands Holdings, Inc.
Stop use and ask a doctor if discomfort persists. Keep out of reach of children. If swallowed, get medical help or contact a Poison Control center (1-800-222-1222) right away. For the removal of common warts. The common wart is easily recognized by the rough "cauliflower-like" appearance of the surface. 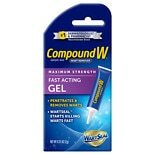 Compound W Wart Remover Fast-....25 oz.